Can Apple iCloud Be Competition For Netflix? Everyone is getting into cloud storage these days. From Amazon to Google, and now Apple, who are due to announce the new storage concept – iCloud. When Apple have the cloud storage set-up and filled full of movies and TV shows, will they become a rival to streaming services such as Netflix and Hulu? Apple iCloud for music and movies? 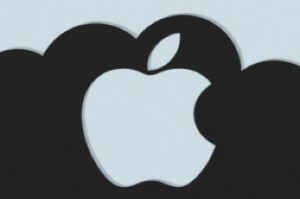 The iCloud service is due for release Monday at the WWDC 2011. The service will be available for Mac OS X Lion, iPhone and iPad and is expected to not only store users music, but also movies a’la Amazon and Netflix. The cloud concept, from Amazon and Google at least, is that users upload songs to the virtual cloud servers. That same music can then be streamed to users smartphones, computer or any capable connected device. Apple of course do things differently. Their service will thanks to licensing agreements, allow a users library to be mirrored on the cloud. So no manual uploading, whatever is yours can be accessed from the cloud servers. If this is how the cloud works, then it will be a definite threat to Netflix and will give users content on a variety of devices anywhere they happen to be. Further announcments will come on Monday, when Steven Jobs gives the keynote speech. Apple iCloud wants films and TV shows, but HBO rains on parade – CNET UKBut HBO is casting a dark fog of doubt over such a deal. The prestigious US cable network has an exclusive relationship with three of the top film studios that requires all other sales and distribution of a movie to cease while it airs a film or show. Are Apple Launching An Internet Connected TV This Year?